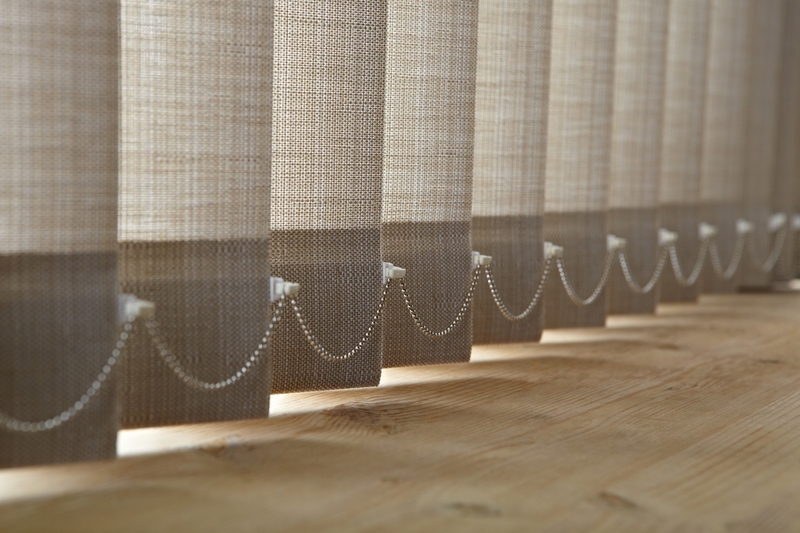 Vertical blinds are made of individual vertical slats that clip into a sliding rail at the top, and are stabilised and joined by weights and chains at the bottom. 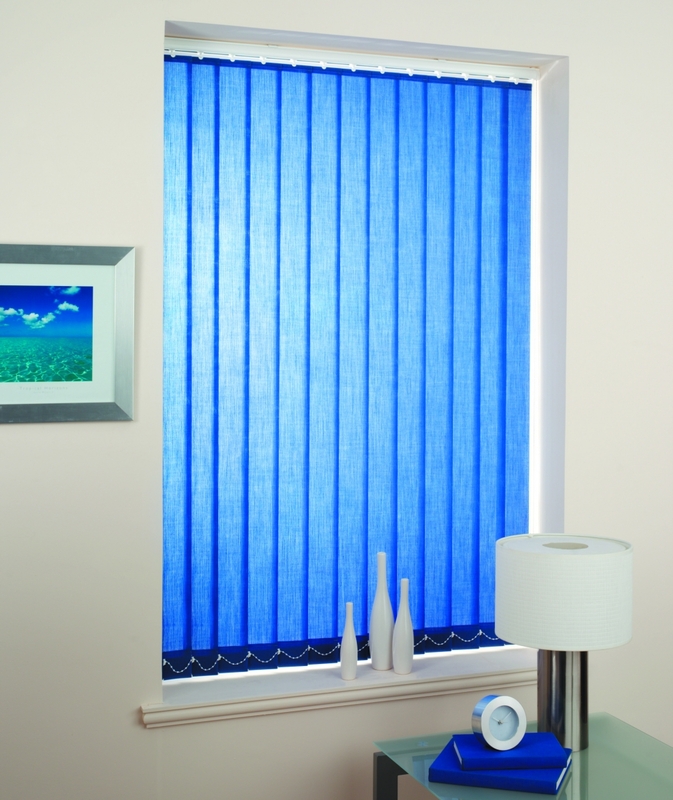 Vertical blinds open horizontally, either 1-way (e.g. from left to right) or 2-way (e.g. 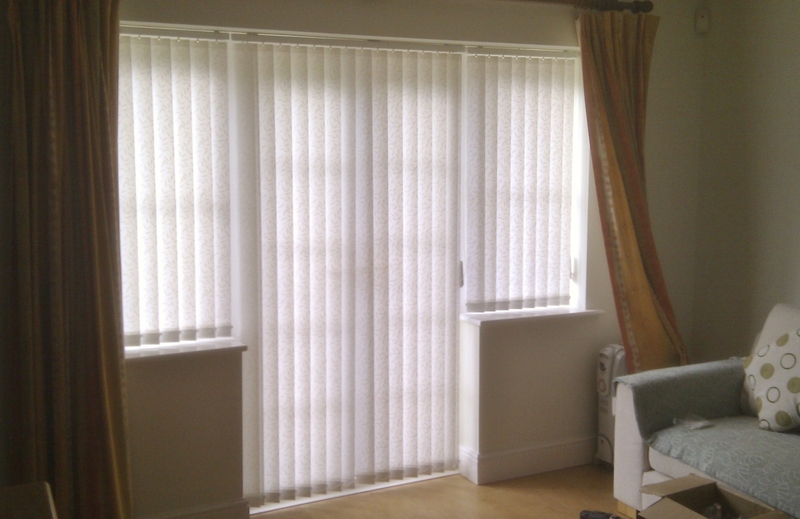 from the middle outwards, similar to curtains). 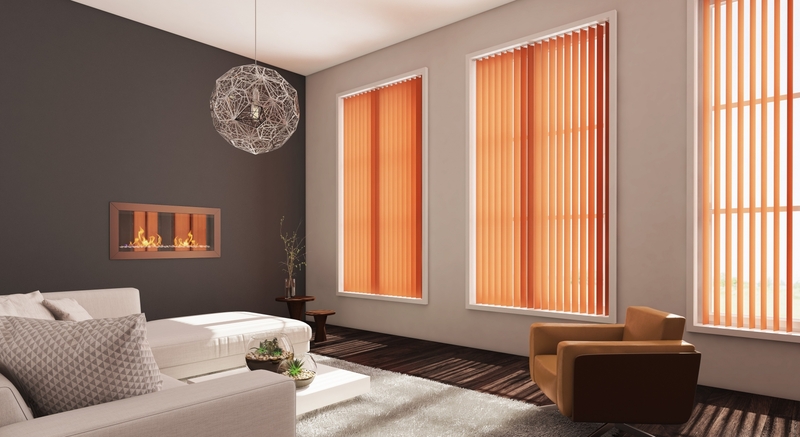 The vertical slats can also be turned to regulate the amount of light that enters the room. 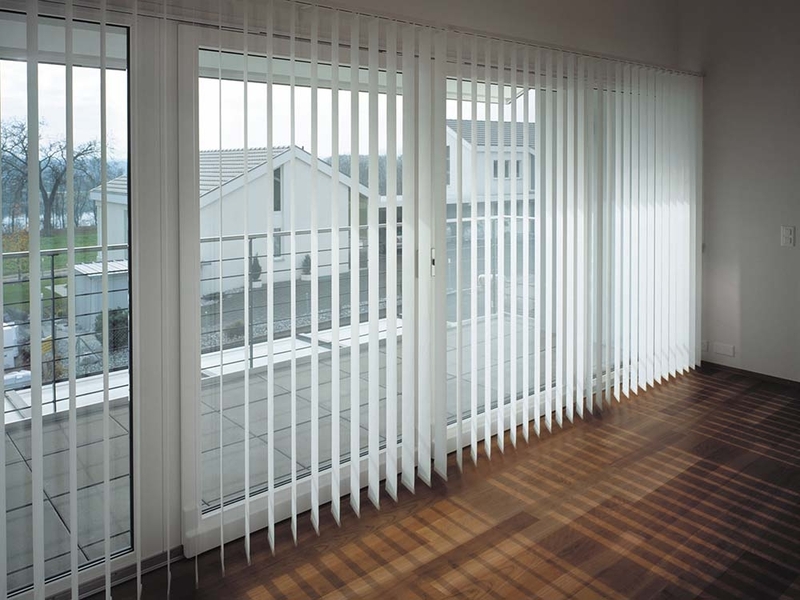 The design of vertical blinds is such that individual slats can easily be replaced or fixed, and chains and weights can easily be replaced. 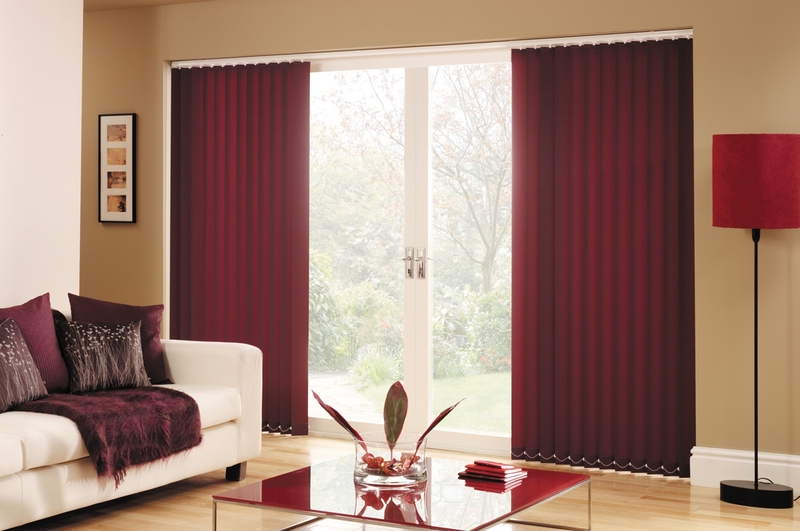 Many of the fabrics can be wiped down or washed. 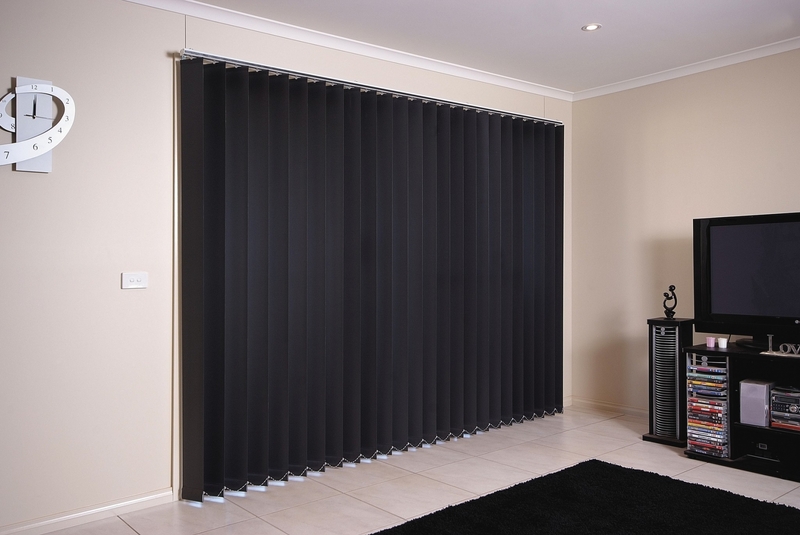 As the slats are vertical, they do not collect much dust.